A stunning coming-of-age novel about one young man’s eye-opening sexual awakening at the hands of an intriguing older woman. Henry Cane knows exactly what he’s going to do with the rest of his life. Born into the rarefied world of Manhattan wealth and privilege, after graduating from Harvard Henry is about to start his perfectly planned out life. He’s always known he will move back to Manhattan and be groomed to take over his father’s publishing business. He’s destined to date a string of appropriate girls until he dates the most appropriate girl and asks her to marry him. It’s all so awfully tedious. 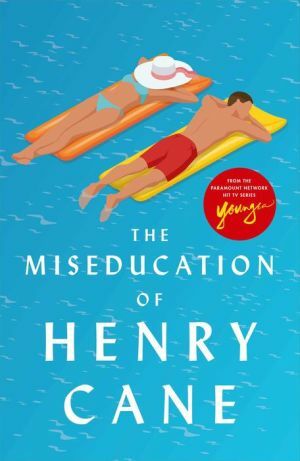 But Henry’s been given eight weeks to do something else, to be an entirely different person. When his parents leave him alone in their Sag Harbor estate for the summer, Henry embarks on a double life as Joe, a blue collar fisherman on the other side of the bay. Once ensconced in his fake identity he finds himself entangled in an affair with an alluring, older European woman—who happens to be married. As he becomes more and more infatuated with her, their affair threatens to unravel his tightly wound story, and could jeopardize his entire future. This is the story of a boy becoming a man, shaped by the hands of women who truly control the narrative.